Beautytiptoday.com: Victoria Beckham's Diet Secret: Sticky Willes! Looking to get skinny like VB in 2013?! Think seaweed. There's a new diet pill in town known as Quantrim, and it supposedly BURNS fat and ZAPS cellulite. Plus---Victora Beckham is said to be a fan of seaweed for its slenderizing properties. According to information in the British DailyMail, seaweed and a plant known as Sticky Willies combine together to melt away the pounds. The formula dates back to 1913 and has been developed into a diet pill form. The weird combo of ingredients decreases the appetite and increase the body's metabolism and therefore, burns more calories. 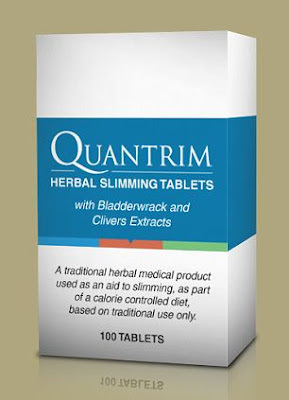 ‘Quantrim is a safe, natural weight loss aid that will enable everyone to achieve their ideal weight, with less struggle than dieting alone. 'Quantrim reduces hunger pains as your appetite is curbed. As your natural energy levels and metabolism increase Quantrim burns stubborn fat and celullite'. Would you try this new diet pill in the new year? For more information, visit Quantrim.